As I mentioned here, we finally switched Henry to his convertible car seat! We purchased the new seat a couple of months ago and finally decided to install it. I wish we had done it months ago! He seems so much more comfortable and loves being able to sit up more like a big boy! Looking back, I'm glad we had the infant car seat, even though many convertible seats are safe for 5lb babies! But their little necks are so wobbly you want all the support you can get. Next time around though, I won't keep the new baby in the infant seat for so long. Henry wasn't a huge newborn, just 7.11lbs. But he quickly started beefing up:) For his infant carrier, we have the Chicco KeyFit 30 and have been pleased with it, overall. I'm a little obsessive and researched like crazy before we registered. The seat was rated in the top ten for safety on Consumer Reports which was so important to me. It is well made and is very sturdy with out being too heavy. But I will say I wish the fabric was a different material. Little man's back would be so sweaty sometimes this past summer when we pulled him out. Also, he's always been pretty good on car rides but he wouldn't really nap well in the seat. He was sitting up pretty well at five months so I started my research on convertible seats. Safety was my number one priority so I checked out consumer reports again. I found a few seats I liked that were reasonably priced and we went to check them out in person. 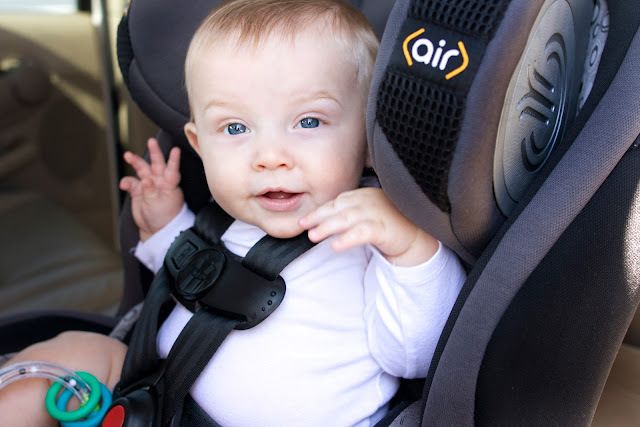 We narrowed the list down to the Maxi-Cosi Pria 70, Britax Marathon, and the Safety 1st Complete Air 65. Then through Elena, I came across HealthyStuff.org and read their picks for the safest car seats. 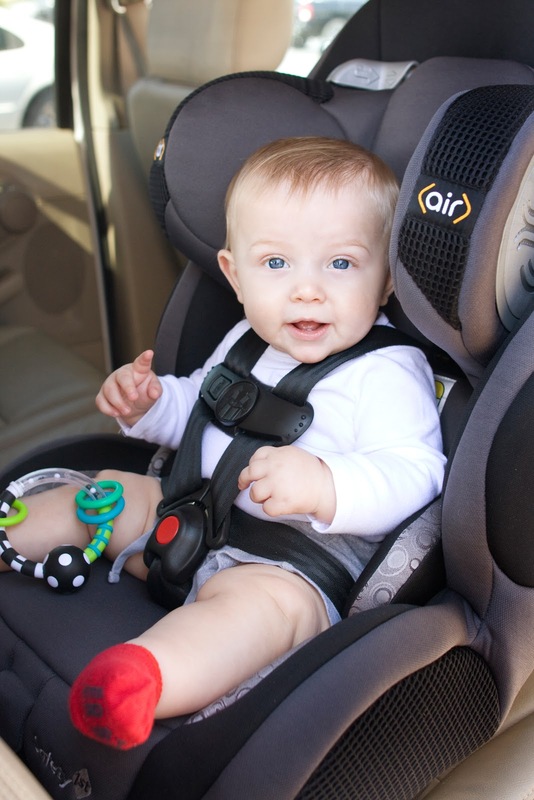 Their lists are based on the level of harmful chemicals and fire retardants used in and on the car seats. And I don't know about you, but having high levels of toxic chemicals rubbing on and being absorbed into my baby's body is something I'm not cool with! So I was thrilled when I saw the Maxi-Cosi and Safety 1st both on the "Best" list, (and so happy when I saw his infant seat he's spent the last 6 months in was also a "Best"). The Britax was clearly out of the running, having made the "Worst" list. I was sad about that because they have a great reputation for safety! I was happy to have either of the two and Henry fit well in both. Both the Maxi-Cosi and the Safety 1st have the "Air " pillow things on the side and both have a great material that seemed to breath more. No more sweaty baby! Heck yeah!!! So being the bargain shopper that I am, I decided to go for the Safety 1st, saving about $75. The next day I happened to get a Target email showing several baby items on sale. I want to say it was an extra $50 off. We then used our Target debit card to save and extra 5% and received free shipping! 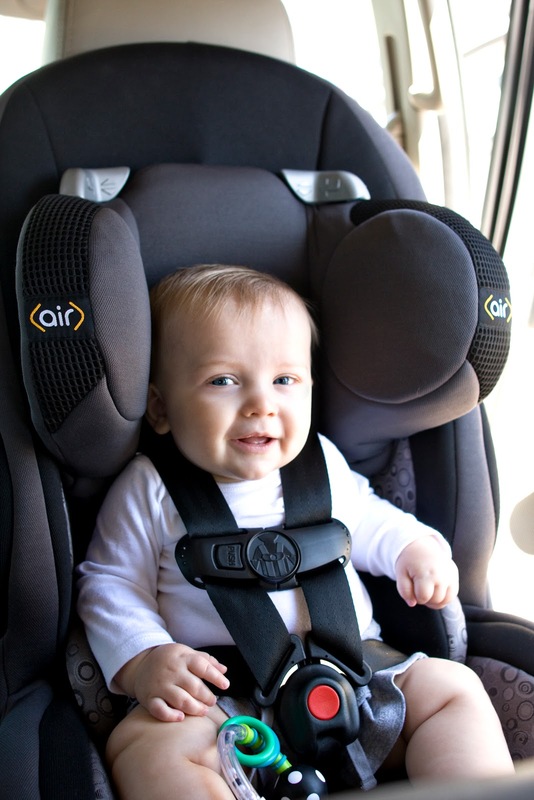 An awesome, safe, highly rated, comfortable car seat for close to $100?! Sign me up!!! We've been so pleased with the new car seat, and Henry sits in it so well. He can see all around him and just chats non-stop to himself in the mirror. Also, we have a mid size SUV, and it fits just fine! I'm so happy with our purchase! i wish i would have read this post a couple months ago. i really like the car seat you got. we got the britax, but honestly Rooney doesn't love sitting in it (she can't see out the sides), and now i'm mad about the "ingredients"! You just never know how the little ones are going to like something! We did recline the seat a bit and that helps him see around more. And I didn't mean to make anyone feel badly about the "ingredients"- I'm sorry! Have you washed the cover? That would make me feel better:) Don't stress Mama! We just love it! Thanks for sharing all your research!! Oh and don't you love the fabric it's made out of? YES! Perfect for my chubby, hot-natured baby :) He would get so sweaty and crabby in our last seat!